Picasso’s portrait of Marie-Thérèse Walter from 1937 was the top lot at Sotheby’s sale of Impressionist & Modern and Surrealist Art in London tonight. 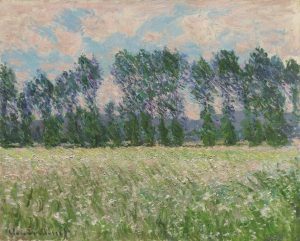 It sold for £49.8 million. 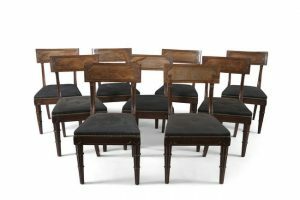 The sale totalled £136,001,500 across thirty-six lots. 64% of the lots sold for prices over their pre-sale high-estimates, with an average lot value of £3.8m. Painted just months after Guernica and his Weeping Women, this portrait appeared at auction for the first time. The work was used as a means of exploring his feelings for Marie-Thérèse and his new lover Dora Maar, who emerges in the shadow. 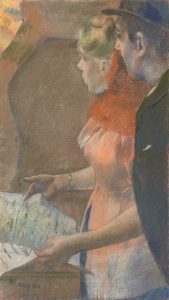 There is a conscious blurring of the two styles inspired by the two muses, reaching its pinnacle in the silhouetted ‘other’ that emerges from behind the main subject. 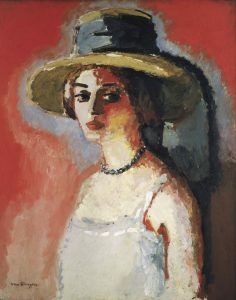 Alberto Giacometti’s chandelier sold for £7.6 million, Picasso’s Matador made £16.5 million and Bateaux à Collioure by Andre Derain made £10.9 million. 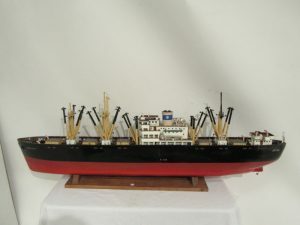 There were bidders from 35 countries with strong activity from Asia, Russia the US and the UK. 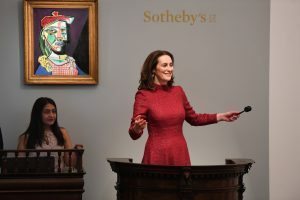 There was a combined total of £149,592,750 at the Impressionist and Modern Art and Art of the Surreal sales at Christie’s in London last night. This is the second highest result for Christie’s February season in these categories. 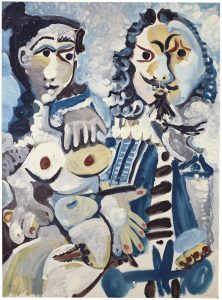 The sales were led by Picasso whose Mousquetaire et nu assis realised £13,733,750 and Figure realised £8,333,750. No less than five of the top ten results were works by Picasso. Dans les coulisses by Edgar Degas realised £8,993,750, Prairie à Giverny by Claude Monet realised £7,546,250, Le groupe silencieux by Rene Magritte realised £7,208,750 and Studie für Landscaft (Dünaberg) by Wassily Kandinsky realised £6,758,750. Andre Derain’s view of London from Westminster Bridge failed to sell in an auction that was 78% sold by lot and 91% sold by value. 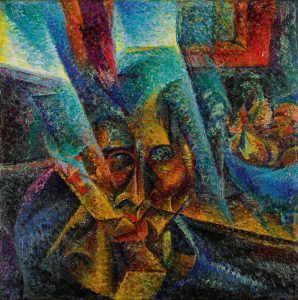 The title of this seminal Futurist work by Umberto Boccioni Testa + luce + ambiente translates as head + light + atmosphere. It was painted in 1912, the year the Futurists issued a call to arms for artists celebrating the modern world in a radical way. 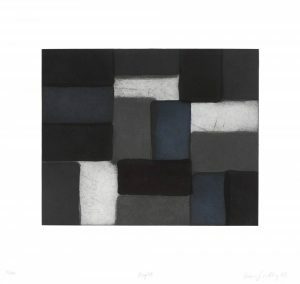 The short lived and highly influential movement demanded a break with the past centred on a desire to re-enter life through a focus on the speed, noise, machinery and violence of the new century. 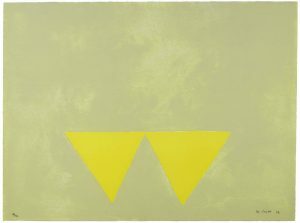 This work centres the human figure in a direct shaft of light, resulting in the fusion of form and atmosphere. 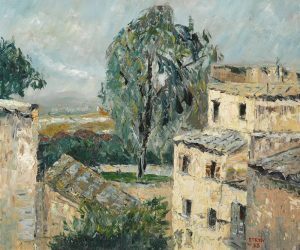 Paintings by Boccioni – a leading figure in the Italian Futurists alongside Severini, Balla and Marinetti – are very rare. This one was made just four years before his death at 33 in the First World War. 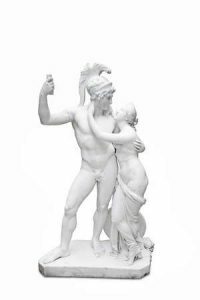 It comes to auction for the first time at Sotheby‘s Impressionist and Modern evening sale in London on February 28 estimated at £5.5-7.5 million. 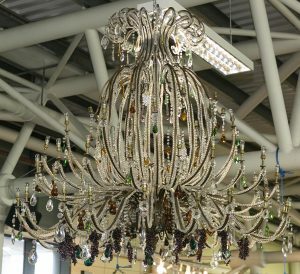 More than 500 lots will come under the hammer at the James Adam At Home sale in Dublin on February 25. Much of the lots on offer come from a Fitzwilliam Place townhouse developed in the 1980’s with furnishing supplied by some of Dublin’s leading antique dealers Chantal O’Sullivan and Gerald Kenyon. 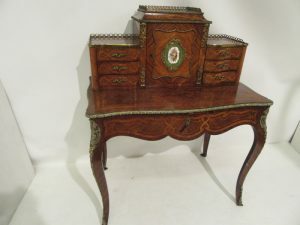 Highlights include an Irish Regency giltwood convex mirror (4,000), a console table with white marble top (5,000), a set of 18 Georgian roll back dining chairs (7,000) and a Wiliam IV extending dining table (6,000). 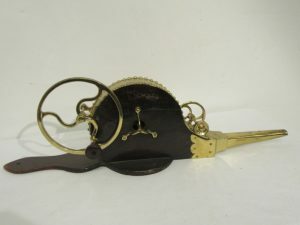 There is a George III rent table and a French Empire overmantle and among the silver is a c1775 two handled cup and cover by the Cork maker Carden Terry. 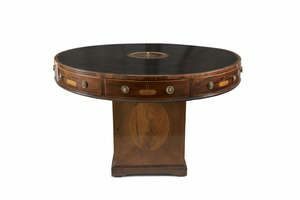 More than 3000 interiors lots will come under the hammer at a two day sale by Victor Mee Auctioneers in partnerhip with Niall Mullen at The Heritage Hotel, Killenard, Co. Laois on March 5 and 6. The sale will feature contents from iconic Dublin nightspots Howl at the Moon and the Residence Club. It also features documentation from Clerys including the original cheques from the sale of shares in the historic department store building. There is also refurbished furniture from the Shelbourne Hotel and more than 200 items of Irish folk and pub memorabilia including a restored original Irish phone box from Westmeath. 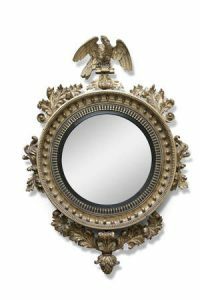 “There is a gorgeously opulent and eclectic look to the pieces from Howl at the Moon,” Niall Mullen said. 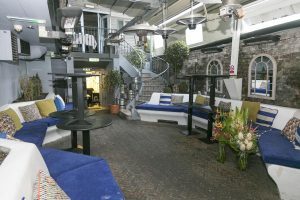 The nightclub had a major fit out in 2001 by publican Liam O’Dwyer. “Howl’s spectacular five-star furnishings include a two metre by two metre French chandelier, four full-size alabaster pillars, original works by artist Patrick O’Reilly, life-size bronze statues, two full-size bronze doors, a grand piano and a unique collection of Irish whiskey” he said. “The Clerys collection is of immense interest, as along with Denis Guiney’s original £241,000 cheque to purchase the entire share capital of Clery and Company in 1941, it includes old photographs, office journals and store record books going back 150 years. There is a beautiful selection of original refurbished furniture from the Shelbourne Hotel, and among the 150 pieces are some striking French bronze chandeliers. We also have the entire contents of the renowned private members club Residence, including the bars, mirrors, glassware and every item of their classic, yet contemporary, styled furniture”. The Victim by Rowan Gillespie. 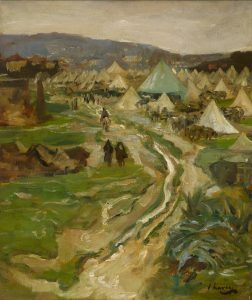 In 2018, Ireland’s Great Hunger Museum at Quinnipiac University will send 50 pieces of art from its acclaimed collection home to Ireland for eight months. 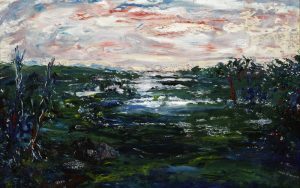 The works will go to The Coach House at Dublin Castle and West Cork Arts Centre in Skibbereen for the exhibition Coming Home: Art and the Great Hunger. 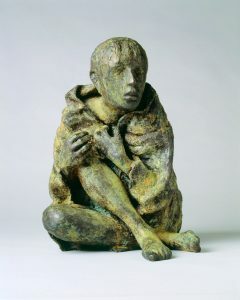 Many of the works are graphic, depicting the horrors of the Great Famine. Some focus on the plight of those who travelled on coffin ships from Ireland to the US. The show will be at Dublin Castle from March to June and at the West Cork Arts Centre in Skibbereen from July to October. It will be on display at the Glassworks in Derry from January to March next year.